Three Gals and a Guy : HAPPY NEW YEAR! 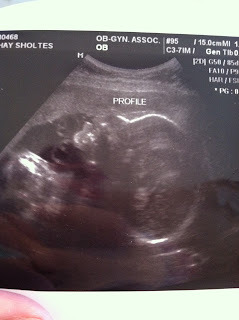 Last Thursday, we had our 27 week appointment, glucose screen and another ultrasound. 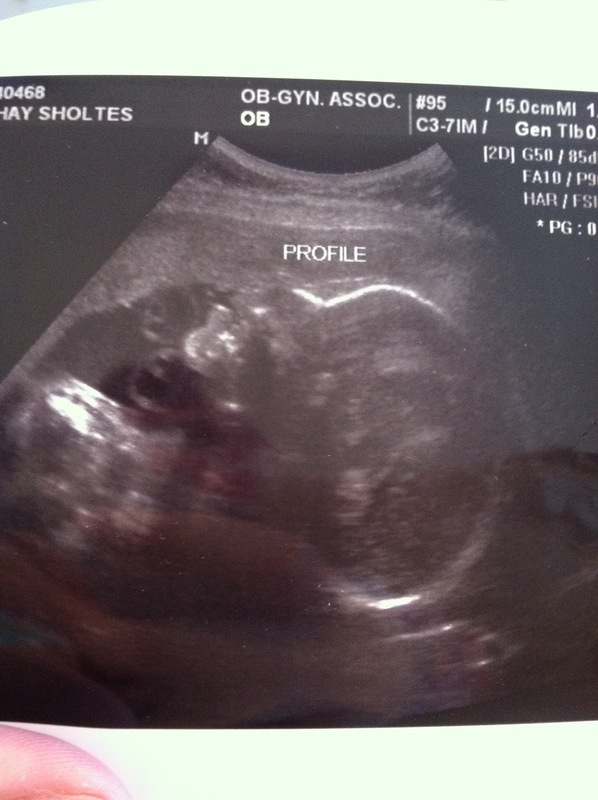 The ultrasound went well, it was fun seeing the baby again- even though once again, she was still scrunched in a ball and it took a while for them to get the views they wanted but her profile is looking good and so is her heart. I passed my glucose screen so that's good news too. My actual appointment went well and we met a new doctor who just started and we really liked her. It was a pretty uneventful appointment just asked a few questions regarding difficulties with becoming pretty winded after running up stairs etc.. I've noticed that even a short trip up the stairs that I find myself a little out of breath or if I am standing for a while, I get tired pretty quickly. Doctor reassured that is perfectly normal for someone almost in their third trimester and depending on where baby is positioned as well, makes a difference. I have noticed that if I lie on my back at night I have to switch positions because it's a little harder to breathe. I also am still experiencing pelvic pain and sometimes it is hard to walk after sitting for awhile. She also reassured me that this is normal, especially with the 2nd pregnancy and being in the 3rd trimester as things are starting to loosen up and with the second time around things are just a little more loose anyway. :) With Sophia, I didn't start to feel uncomfortable until my last month but it seems as though my comfort level has changed in the past few weeks. At least it will all be worth it! Today is the first day of 2013 and we are excited for all the new things we have to look forward to, watching Sophia grow even more, a new baby in March, and hopefully moving to a new house in the next few months. We have a lot of changes coming up but are excited! Wishing everyone a very happy 2013! !